If you are looking for a unique holiday gift, you came to the right place! 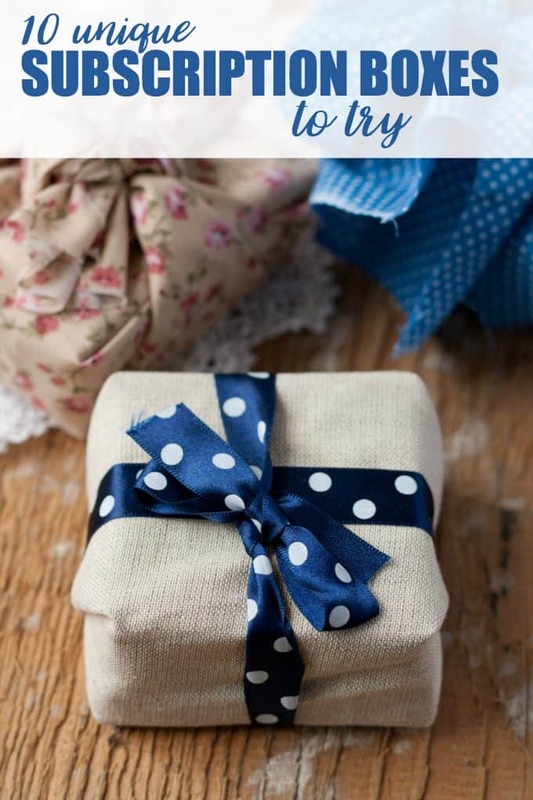 This post features 10 unique subscription boxes that your recipient will love. I’ve discovered that you can find a subscription box for pretty much anything. Love leggings? We got you covered. Antiques are your thing? Here you go. You get the idea. Take a peek through my list and see if any of these gift ideas are a fit for anyone on your list this year! This post contains affiliate links. 1. Date Night In. Everything you need to create the perfect date night at home for you and your honey. Ships worldwide. 2. Estate Crate. Hand-picked vintage collectibles, rarities, novelties and treasures. Ships worldwide. 3. ManeStream. Hair extensions subscription box. Ships worldwide. 4. Sailor’s Box. Hand selected gear for power boaters, fisherman, and cruisers. Ships worldwide. 5. Autograph of the Month Club. Monthly delivery of a hand signed 8×10 from a mystery TV/FILM celebrity. Ships worldwide. 6. Enchanted Crystal. Curated selection of crystals & minerals sourced from around the world. Ships worldwide. 7. Watch Gang. New watch sent to you monthly. Ships worldwide. 8. SinglesSwag. Subscription box designed exclusively for the single woman. Ships worldwide. 9. Skivvie NIX. Monthly delivery of two new pairs of woman’s underwear. Ships worldwide. 10. Leggings Monthly. New pair of leggings delivered to your door every month. Ships worldwide. Which subscription box caught your eye? I like the sound of the Leggings Box. I get a pair of leggings every month. That sounds so cool. I am going to check some of these boxes out. This is a great list of subscription boxes to try.